Today is the release day for Hereditary! Hereditary Holloway Pack short story, which means you can go grab your copy now and not have to pay a penny. 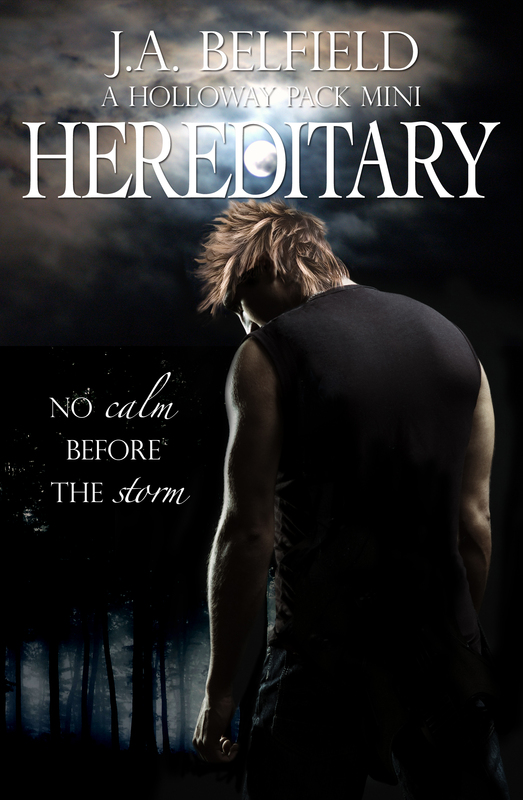 If you haven’t read the Holloway Pack series, you can still read Hereditary, because it can be read just as easily as a standalone. Hereditary is nice short addition to the Holloway Pack series and it tell the story from Shelby’s perspective when her son Gabe starts his transformation into a werewolf. I really enjoyed this short story and it was nice to learn a bit more about Shelby and Gabe and saw how they dealt with his changes. In the rest of this series, except the first book they don’t deal a lot with the first change into a werewolf, so it was nice to see that addressed here. Also because at first Shelby doesn’t know what’s wrong with Gabe they really struggle with the issue and trying to figure out what’s wrong. I really felt for Shelby in this short story, there’s something wrong with her only son and she doesn’t know what and has no way to figure it out. I think she reacts realistically to the situation and does the best she can considering the circumstances. I also liked Mia and how she stood by Gabe’s side even through his frightening changes. Although it’s a fun addition to the Holloway Pack series, this novella can also be read as a standalone. You don’t know the relevance of these characters in connection with the rest of the main story, but I think it would give an interesting perspective when reading this novella before the other books. To conclude: Hereditary is an enjoyable short story that gives some backstory for some characters we meet in the Holloway Pack series. I really liked the characters and seeing how they went through Gabe’s change into a werewolf. You can grab your copy of Hereditary here! If you visit J.A. Belfield’s post, you can listen to her read a short passage, too! I used to avoid short stories and novellas, but have since changed my mind as I found some can really add something to the story. Especially in cases like this where the novella highlights something that won’t into the rest of the books, but is still an important part of the story. It’s a nice extra for fans of the series and maybe a nice way to get started with this series as well!